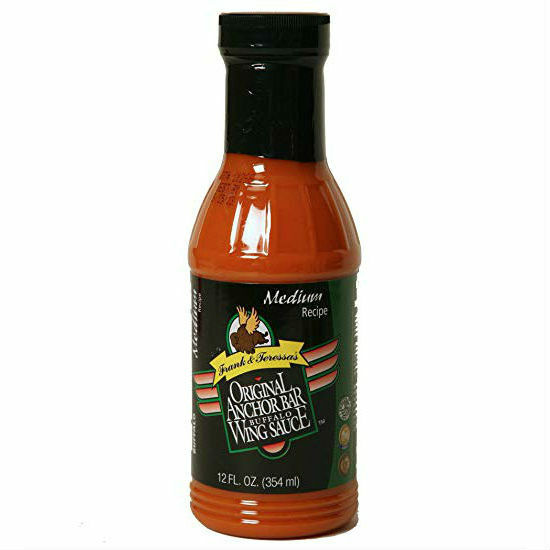 Anchor Bar Buffalo Wing Sauce - Frank & Teressa's original recipe, was developed and perfected at the birth place of Buffalo Chicken Wings, the Famous Anchor Bar in Buffalo, New York. These people actually invented the Buffalo Chicken Wing in 1964. A rich, smooth fully prepared sauce. No mixing, no mess, no guess work. 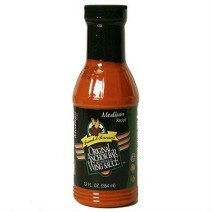 Besides being phenomenally great on chicken wings, try this sauce on beef, pork and seafood. This larger 354ml size bottle is perfect for covering all your favourite dishes.